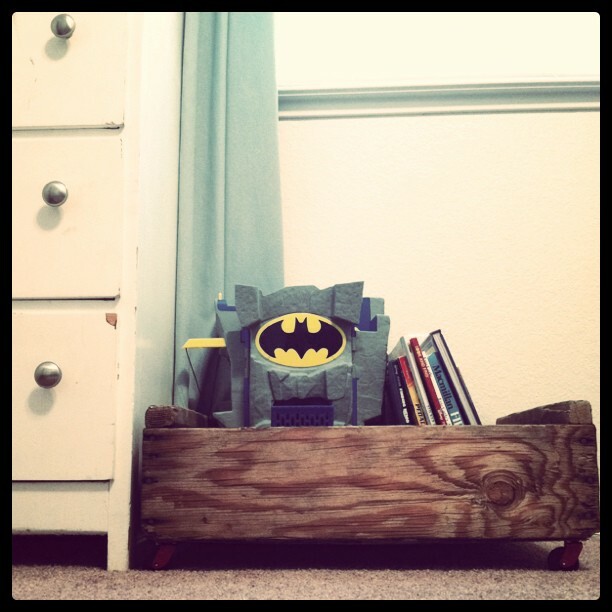 almost a year ago i was flipping through a Serena & Lily catalog in search for the perfect theme to my little boy's room. 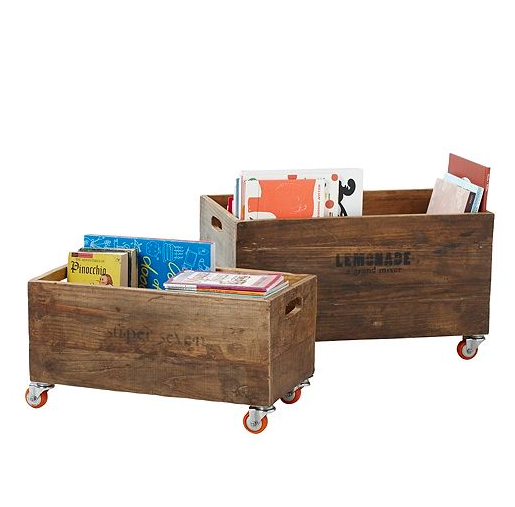 i was struck by these super cute vintage crates with a modern twist with the red casters. i have been on the hunt for something that would be easy for me to recreate myself and have finally found it! 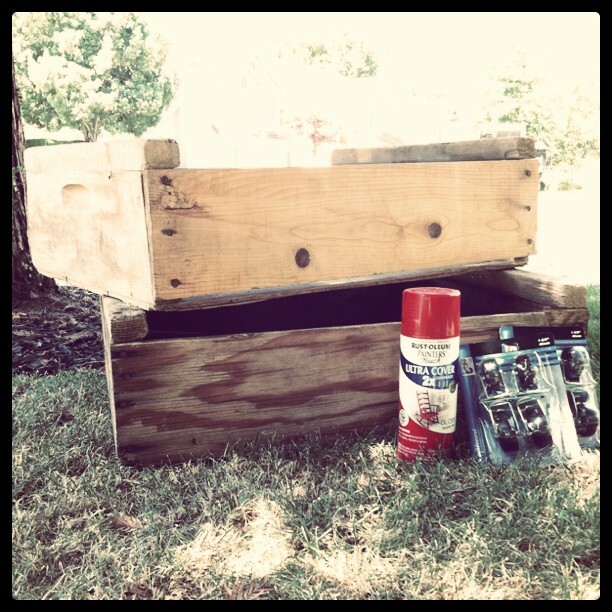 while hanging out at Cherish's house, and being inspired by all the cute vintage crates around her house, she mentioned that she purchased them right around the corner and for only $5 each!!! wha? we jumped into the car and swooped some up right away! 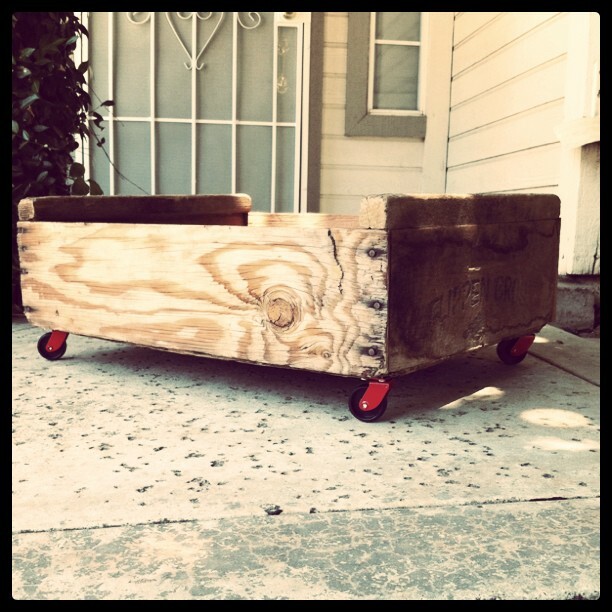 then we headed off to the supply store and bought some casters. i couldn't find any red ones right then and there, but remembered that i had some red spray paint left over from the school chairs i painted. and with that, a new project was born. i covered the wheels with foil, thanks to a little tip from Cherish, to protect them from getting paint on them. then i sprayed the heck out of those bad billies. 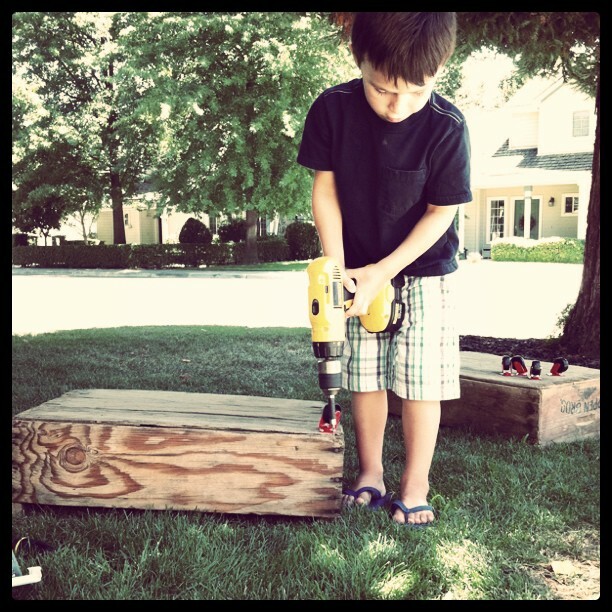 future DIYer. be still my heart. you can't really tell from this pictures, but they look awesome. actually, i'm probably the only one who really cares... but i do! it's all in the details. p.s. my computer broke on friday! nooooo! i swiped my husband's laptop and am sneakily blogging while he puts the kids to bed. please pray my computer get's fixed soon or send me money so i can buy a new one, cause i've got a lot of great things to share soon!! !